Did Trump really believe he would win in 2016? I’m fairly deep into the “Fear,” the blockbuster book by Bob “Watergate Fame” Woodward. The book touches on a theme I keep encountering as I read analyses of Donald Trump’s administration, his winning campaign in 2016 and the slipshod way he assembled his White House team after he won the election. The theme is this: Trump didn’t actually expect to win the 2016 presidential election. Woodward refers to the surprise that voters delivered to the Republican presidential nominee on Election Night. Noting that surprise time and again throughout the book, I keep wondering: Why did Trump actually run for this office? Was it a business deal to end all business deals? I have noted in this blog that Trump — before becoming a politician — had spent his entire adult life seeking to attain personal wealth. He is the master of self-aggrandizement. Self-promotion is his MO. He is wired solely and exclusively to promote himself. How in the world does someone with that sort of makeup sincerely believe he is capable of assuming a job that requires him to take an oath to look out for the interests of others? I cannot possibly believe that such a man actually intends to set aside his entire adulthood existence for a life of public service. When I refer to “public service,” I intend to suggest that one who climbs into that arena is dedicated to others. Does the 45th president of the United States strike you as someone who fills that bill . . . or even expected to find himself in the role he now plays? What’s with the ‘shekels’ reference, Eric? 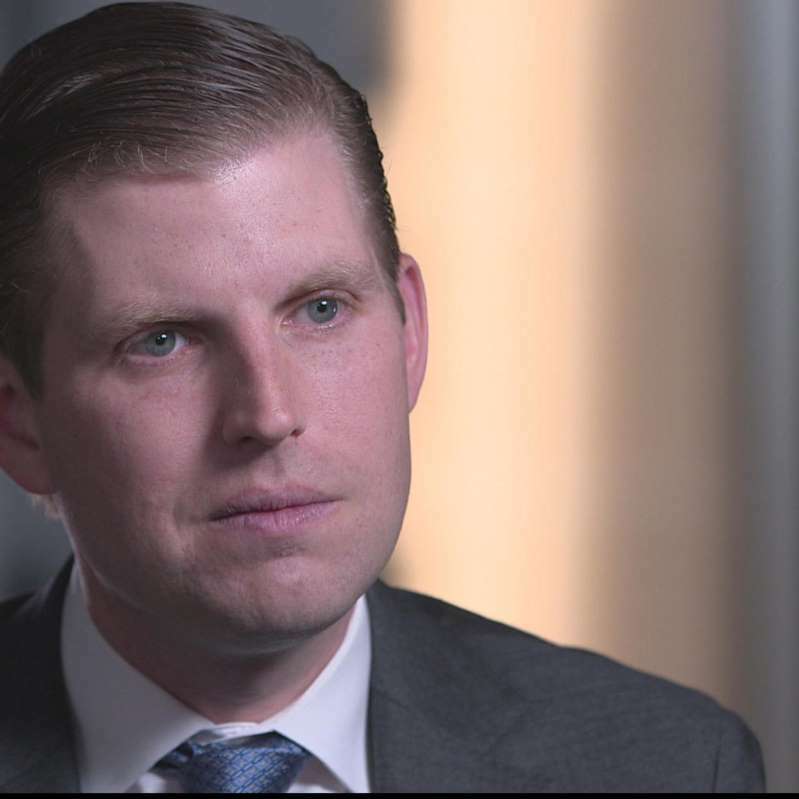 I feel a need to weigh in briefly on a strange reference uttered by Eric Trump, the second son of the president of the United States. Is it an anti-Semitic reference? Gosh, I just don’t know. It is weird, nonetheless. 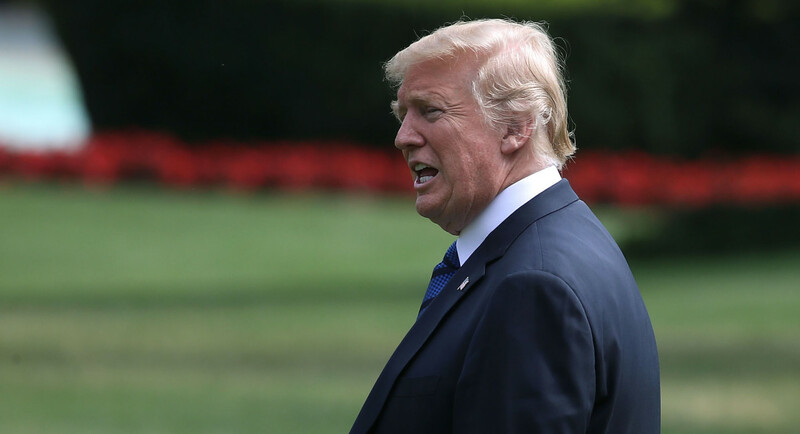 Trump was talking about Bob Woodward’s newly released book, “Fear,” and — naturally — he criticized its conclusions about Donald Trump’s administration. You’ve heard about the book, yes? It’s been in all the papers. According to MSN.com: “Don’t you think people look through the fact that you can write a sensational, nonsense book, CNN will definitely have you on there because they love to trash the president,” Eric Trump said on Wednesday’s “Fox and Friends,” the network’s morning show, when asked about Woodward’s book. Three extra “shekels”? Huh? What’s up with that? Shekel is the currency used in Israel. Why would Eric make that particular reference? Why not just say, “Make a little extra money”? Or, “three extra bucks”? Some critics have suggested the shekels reference is intentionally anti-Semitic. I don’t know if it is or it isn’t. However, it does reveal a curiously inarticulate, clumsy and bizarre use of the English language by a member of the Trump family. Now that I think about it, such rhetorical goofiness does seem to run in the family. Bob Woodward’s book “Fear” doesn’t plow a lot of new ground regarding Donald J. Trump’s slipshod administration. Still, to hear a renowned print journalist declare there to be a “war against truth” within the administration has a way of getting one’s attention. It is the 19th book Woodward has written. He has covered nine presidents of the United States, dating back to the Nixon administration. All the presidents from Richard Nixon forward — Gerald Ford, Jimmy Carter, Ronald Reagan, George H.W. Bush, Bill Clinton, George W. Bush and Barack Obama — have felt the sting of Woodward’s penchant for reporting the truth. The current president has taken an entirely different tack when pushing back against Woodward. He calls the jounalist’s work “fiction” and has launched a campaign to discredit a man known for meticulous reporting techniques. He produces multiple sources and stands squarely behind his reporting. I continue to believe the reporter more than I believe the president, a man known as a serial liar who appears genetically wired to prevaricate … even when the truth stands in the way. 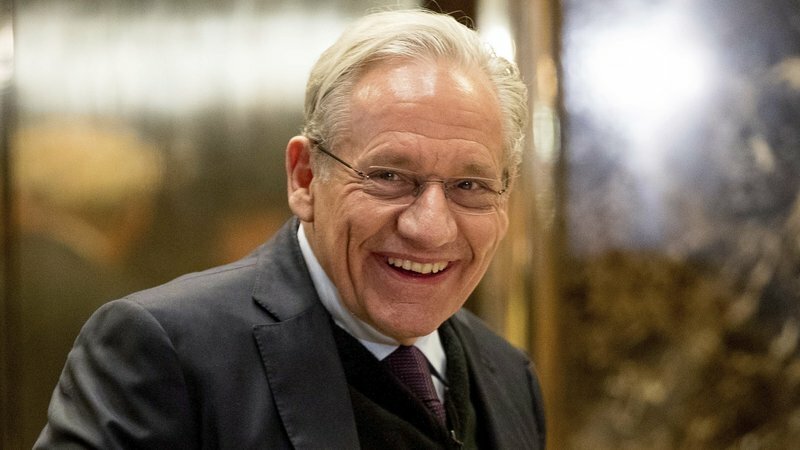 Woodward said his former boss at the Washington Post, the late Ben Bradlee, used to live by the credo that “the truth will emerge” no matter what. I’ll maintain the faith that the truth will emerge even as the president seeks to deny its existence. If I had to pick which man — Donald J. Trump or Bob Woodward — is more credible, believable, truthful and trustworthy, I am going to go with Woodward every day of the week … and twice on Sunday. Woodward’s 19th book, “Fear,” was released today on the 17th year commemorating the 9/11 terror attack. It tells a stark story of dysfunction within the Trump White House operation. It speaks to attempts to prevent the president from acting on his more dangerous impulses. Trump has blasted Woodward. So have many of his top aides, senior advisers, Cabinet hands. I’m interested in the lack of specificity regarding the criticism. Woodward’s history as a journalist — dating back to the Watergate era that he covered along with his Washington Post reporting partner Carl Bernstein — reveals a journalist who takes meticulous care to ensure he reports the truth. I am sitting out here in the peanut gallery; I am aware that I am far from the fracas. However, Woodward’s reporting techniques have served well enough for him over the course of more than four decades. He has achieved iconic status for a good reason. The man does a thorough job of ensuring the veracity of whatever story he is seeking to tell. Trump? His record of veracity? Umm. Not so good. Not nearly so reliable. For the president to challenge the reputation of a legendary print journalist, thus, is laughable on its face. Except that none of it is funny. Donald John Trump’s delusions keep mounting up. Take what he said again this weekend, that the White House is “well-oiled.” It’s all going swimmingly, according to the president. No worries at all. The executive branch is functioning precisely as it should and the president — he hastens to add — is doing more than any president in history. A new book, “Fear,” written by legendary Washington journalist Bob Woodward, tells a different story. And, oh yes, there’s that now-infamous anonymous essay published in The New York Times that tells essentially the same tale that Woodward has laid out. And that is? The White House is rife with chaos. Staff members are in near-panic mode. The president cannot be trusted to make the right decisions every time. Donald Trump says it’s all a ruse. 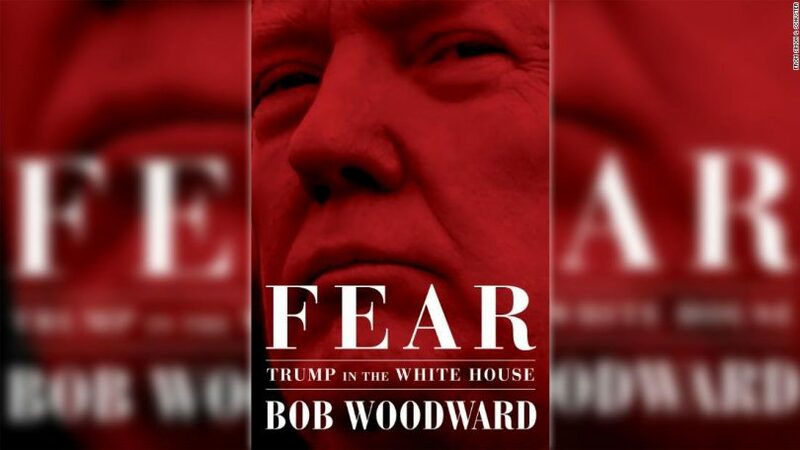 He said Woodward has made up all the things he reports in “Fear.” The mystery essayist is a “coward” who faces a Justice Department investigation, according to Trump. That is the sign of a well-oiled machine running the executive branch of the federal government? Hardly, man. It’s the sign of a White House and a president with a shallow bench that cannot fill key posts. Yep. The White House is in serious disarray. The anonymous essay doesn’t tell us much new about the White House operation, say observers in Washington, D.C. As for the Woodward book, it, too, tells of a chaotic atmosphere. Trump can believe what he says, I suppose. What galls me and perhaps millions of other Americans is that he expects others to believe what he says as well. I do not believe him. The White House has become something just short of a loony bin. Barack H. Obama has asked a question that has been on the minds of political observers/junkies ever since the election of Donald J. Trump as president of the United States. “What happened to the Republican Party?” Obama has inquired. 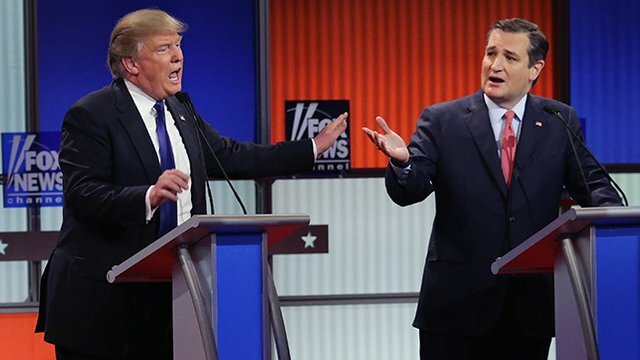 What, indeed, has become of the Party of Lincoln, the Party of Ike, the Party of Reagan? Is has become the Party of Trump. Why is this a critical question? Because the current president brought no ideological mooring to the office to which he was elected. The former president didn’t say it in so many words during his re-entry into the political debate this week, so I’ll say it here. The GOP has fallen victim to the cult of personality that Trump embodies. Indeed, we have gotten a peek into that cult through the soon to be published book “Fear” written by veteran journalist Bob Woodward and by that anonymous essay published the other day by the New York Times. Woodward and the mystery essayist both contend that Trump doesn’t adhere to any form of “conventional” Republican orthodoxy. Moreover, as Obama said in Illinois, Republicans ought to be aghast that the president is making nice with the former head of the KGB, given that Republicans’ signature foreign policy issue for decades — during the Dwight Eisenhower years — was to oppose communism, led by the former Soviet Union. Republicans during the Ronald Reagan era would rail against the annual budget deficit. On Trump’s watch, we’re watching the deficit escalate, yet GOP members of Congress give the president a pass. The Party of Lincoln never would give moral equivalence to Nazis and Klansmen to the people who opposed them at the Charlottesville, Va., riot in 2017. Yes, the question posed by the 44th president of the United States is a valid one. 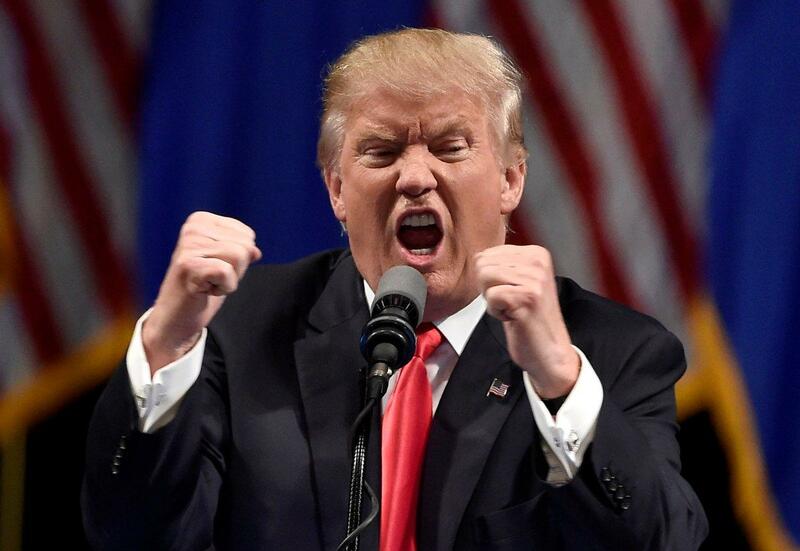 Donald John Trump blasted Bob Woodward’s new book, “Fear,” saying — among many other things — that he has never used the word “retard” to describe a fellow human being. Except … that he did. Woodward’s book contains a passage that references the president calling Attorney General Jeff Sessions “mentally retarded” and a “dumb Southerner.” Trump said he’s never used that word. Never. Not one time, he said. This is the kind of thing that keeps nipping at the president’s rear end. He makes blanket assertions that can be refuted immediately. Such is the case, yet again, with the president’s “retarded” description of the attorney general. Yes, it seems to validate Woodward’s credibility as a journalist. If only the president could ever learn to speak the truth. About anything. He won’t. I’ll admit it. I couldn’t wait until Christmas to get a copy of “Fear,” the latest book by esteemed journalist Bob Woodward. My son and daughter-in-law had given me a Father’s Day gift card from Amazon, which I redeemed this morning. The book will be on its way to my house once it is released on Sept. 11. There is so much to digest, so much to ponder, according to the excerpts that have been released for public review. Here’s one tidbit, as expressed in a Twitter message put out by U.S. Sen. Jeff Merkley, D-Ore.: Trump’s previous personal lawyer was convinced @realDonaldTrump would commit perjury if he talked to Mueller. Let that sink in. “Mueller,” of course, is Robert Mueller, the special counsel who at this moment remains up to his eyeballs in trying to determine whether the 2016 Trump campaign “colluded” with Russian goons who attacked our electoral system. For the president’s former personal counsel to suggest he had no faith in his client’s ability to tell Mueller the truth is, um, shall we say, shocking in the extreme. I hereby declare my implicit trust in the veracity of a book that’s about to hit the shelves across the nation. 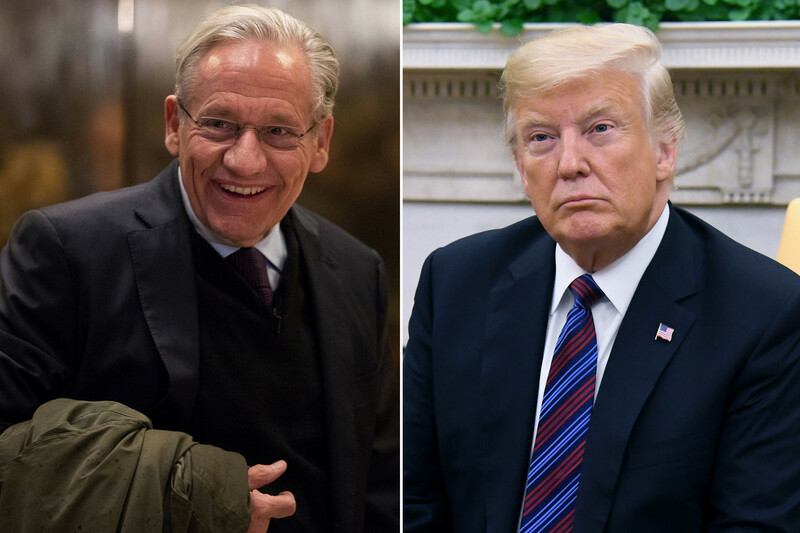 Bob Woodward has written a tell-all book titled “Fear” that details what others have said, have written that Donald J. Trump is a threat to the nation’s security. Imagine that. I never thought in a million years I would be concurring with such an assertion about the president of the United States of America. My bigger point, though, is that Woodward’s work has become legendary in the world of print journalism. The man is known as a meticulous gatherer of information. He uses multiple sources before putting something into print. He takes contemporaneous notes. He makes recordings. And yet, we hear from the White House — including from the president — that Woodward, a Pulitzer Prize-winning journalist, is making things up. This man built his entire reputation on a record of accuracy and credibility. I remain steadfast in my belief that he is telling us the truth about the White House in a state of near panic. Chief staff members cannot conceive of a president being so unaware, so non-inquisitive, so uncaring about the details of foreign or domestic policy. Think, too, about the idea that the president would blurt out some idiotic notion of assassinating the leader of a sovereign nation, which is what he reportedly did regarding Syrian dictator Bashar al Assad. Frightening … in the extreme! It’ll come, of that I have no doubt. As I noted in an earlier blog post, Bob Woodward, the author of “Fear,” is no schmuck publicity hound. He is a reporter who has become legendary for his meticulousness, for the thoroughness of his reporting. He won a Pulitzer Prize back in the 1970s after he and Washington Post partner Carl Bernstein reported on the White House’s involvement in the Watergate office break-in at the Democratic National Committee headquarters. 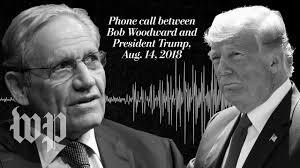 Then we hear this remarkable recording of Woodward talking to Donald Trump, telling the president of the effort he made to talk to the president prior to the completion of the book. I know for certain there will be complaints that Woodward is doing the dirty work for Democratic Party operatives. Hmm. So, um, fascinating, given that Woodward’s history shows him leaning Republican … although his politics has never tainted the quality of his reporting for the Washington Post. “Fear” follows a trend of earlier tell-all books about the Trump administration. Former White House staffer Omarosa Manigault Newman speaks to the chaos within the West Wing, as does David Woolf’s earlier publication. One can challenge the credibility of Newman and Woolf. It would constitute a serious mistake to do the same thing to Bob Woodward. The man is a pro. He’s a careful craftsman who for decades has brought honor to his profession.